Newly inaugurated California Gov. Gavin Newsom’s first budget proposal would boost funding for the state’s community colleges and two university systems, increase financial aid for students who are parents of dependent children and repair aging infrastructure on campuses. 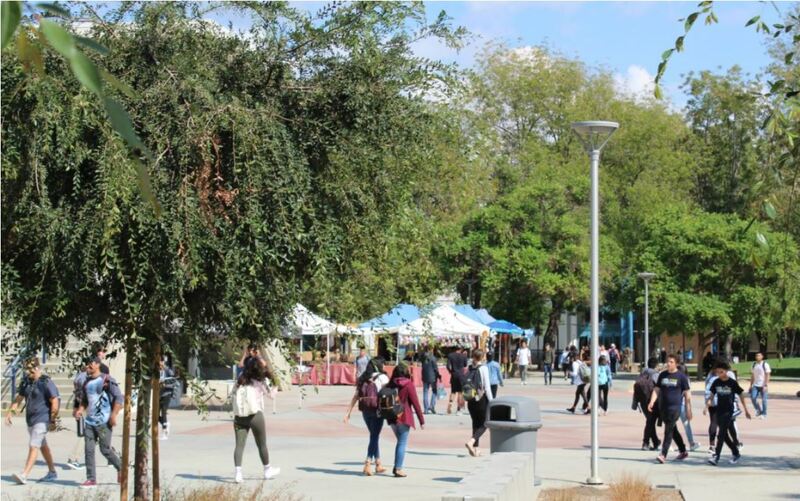 The budget also proposed substantial 2019-20 increases in funding for the 10-campus University of California and 23-campus California State University, but stipulates that tuition levels stay frozen. The new governor put special emphasis on expanding mental health services for students and getting Californians with some college credits to finish their degrees. Newsom’s plan for the state’s higher education systems reflects his goals “to increase access to higher education, improve student success and timely degree completion and to better ensure that college remains affordable,” the budget document said. Newsom’s overall $209 billion state budget plan was unveiled Jan. 10 in Sacramento. “This marks the single largest proposed investment by any governor in the history of the university and we are extremely appreciative of Governor Newsom’s bold investment in us,” CSU Chancellor Timothy P. White said in a statement. Newsom’s plan also would add $402 million in new funding for the state’s 115 community colleges — a significant increase, but short of the $736 million in extra funds requested by the system’s Board of Governors. Both figures include adjustments for inflation. Some of the additional money in Newsom’s budget would finance a proposed second year of free tuition for some community college students. But with all that extra spending, Newsom’s plan still fell short of proposals to dramatically expand the Cal Grants, the state’s main financial aid program, to cover more of college students’ living costs. Support for the expansion came from the state’s community colleges, the California Student Aid Commission and student groups. The California Student Aid Commission late last year proposed a sweeping and expensive plan to remove caps on the number of Cal Grants. The commission’s plan also called for expanding the grant sizes to cover student expenses beyond tuition, such as housing and food. The budget would increase the amount the state spends on Cal Grants by nearly $200 million. Included in that would be new aid, worth as much as $6,000 a year, for an estimated 29,000 students across all sectors of public higher education who are parents of dependent children. The proposed budget also marginally expands the number of students who would receive the Cal Grant by roughly 4,000 students. But the need is greater. More than 200,000 eligible students don’t receive the grant due to caps on how many grants annually are awarded to students who start college more than a year after graduating from high school. Responses to Newsom’s proposed Cal Grant expansion were mixed. Lande Ajose, chair of the state Student Aid Commission, which administers Cal Grants praised the proposal for students with children. “By investing in additional grant aid for students with dependent children, Governor Newsom has proposed a path out of poverty for tens of thousands of our low-income students and families,” she said. Christian Osmeña, vice chancellor for finance and facilities with the state’s community college system, said it will continue to advocate for a larger expansion of the Cal Grants. A spokesman for Newsom’s Department of Finance defended the budget increases for Cal Grant. “This is the way that the governor chose to structure his proposed budget for student aid. …. It’s before the Legislature and there’s going to be additional dialogue,” said H.D. Palmer. The new governor put special emphasis on expanding mental health services for students and getting Californians with some college credits to finish their degrees. He proposed $300 million in extra ongoing funds for the CSU, an 8 percent raise above this year that would allow for an extra 7,000 students and cover other costs. Plus, the plan calls for an additional $262 million in one-time funds that would be mainly devoted to fixing up CSU campus buildings and building child care centers. For UC, he is seeking a $240 million hike in general funds, which is a 7 percent raise, and $138 million more for structural repairs and maintenance. In a victory for advocates of higher education expansion in the Central Valley region, he proposed $3 million to study the possibility of adding a new CSU campus, probably in Stockton. And he advocated that UC’s Extension centers, which now offer an array of certificate programs and other learning opportunities, be the bedrock of a new $15 million initiative to get Californians with some college credits but no degrees to return to school to earn degrees or certificates. Each of UC’s nine undergraduate campuses has Extension centers, mainly for older students who wish to take courses but who are not necessarily pursing a degree. Newsom estimated that about 60,000 people started but did not receive their UC degree over the past two decades and that overall 1 million Californians could be helped by such a degree-completion push, including those who attended community colleges. “I want to go after those folks and get them those degrees,” Newsom said. Administration officials later said that some of that effort might involve online courses. The budget process calls for Newsom’s office to provide more details by Feb. 1 in the form of a “trailer bill” that will be introduced in the Legislature. The budget will be scrutinized and debated by the Legislature and will surely undergo changes by the time the governor presents his revision in May. The Legislature must adopt a budget by June 15 that Newsom could sign or veto in whole or parts. But enrollment growth may remain up for debate in coming months. The CSU had been seeking enough funding to grow its enrollment by 5 percent or about 18,000 while Newsom is proposing an extra 2 percent or 7,000. UC wants to expand its undergraduate enrollment by 2,500 but the governor offered money only to lock in funding for this year’s growth of 1,000 students. Mental health services, housing and hunger received special attention in Newsom’s plan. In addition, across the three higher-education systems, more than $18 million would be allocated for legal aid and other services for undocumented immigrants. Both UC and CSU would also receive $15 million to meet students’ food and housing needs. Beyond expanding some Cal Grants, Newsom’s budget proposal calls for nearly doubling the funds — to $40 million — available for community colleges to offer a second year of free tuition to full-time students who otherwise aren’t eligible for tuition breaks meant for low-income students. An estimated 28,000 first-time, full-time students could benefit. But colleges would not be limited to spending the $40 million on just tuition. Instead, colleges could use the money to cover student expenses like textbooks, school supplies and transportation.